Why Do You Want To Reduce Your Income? Those who want to reduce their taxable income need to make sure that what they’re trying to achieve is what they think they’re trying to achieve. 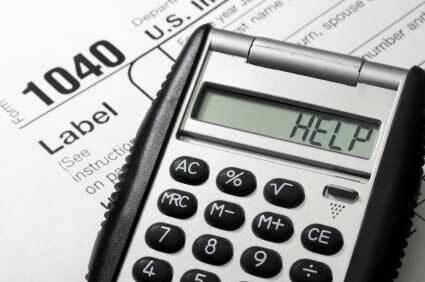 Many people, confused about the tax code, think that if they earn too much that their “tax bracket will go up” and it will cost them money. Understand that the tax code is incremental. You, I, and Warren Buffet all pay the same amount of money on the first X dollars we make. There is no such thing as a dollar that you earn that can cost you money. The key word in this equation is your taxable income. You want to reduce the amount of money you’re paying taxes on, not the amount of money you earn. Fortunately there are some ways to do this. Most of the things you can do to reduce your taxable income won’t be applicable until you file your 2010 taxes. When you file your taxes for 2009 most of what’s done is done and you have to live with the consequences. However, you might be able to use tax deferred accounts, particularly retirement accounts, to reduce last year’s taxable income. While the variables are complex, you may be able to contribute to an Individual Retirement Account or IRA and have the amount you contribute deducted from your 2009 taxable income. It’s like having a time machine! We’ll talk more about these later, but they can save you plenty of money. In the meantime there's a great compilation post on FreeFromBroke.com, with links to tons of great articles about taxes. If you're anything like me, you're looking for more ways to procrastinate about actually doing your taxes. Reading all these articles could give you something to do instead of your taxes!